The oldest annual rodeo in Colorado. Each year Meeker hosts CPRA rodeos, a ranch rodeo, and the 5k walk & foot race. The Meeker Massacre re-enactment is a show to see. We also have a spectacular fireworks display, barn dances, BBQ's, pancake breakfast and name-brand entertainment for our annual concert. Plan on spending your next 4th of July weekend in Meeker, CO.
Visit his website for videos and to listen to his music. 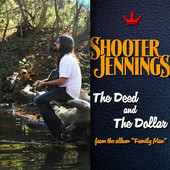 Also featured are Jason Boland & the Stragglers and Cody Canada & the Departed. Meeker will again host the “Oldest Annual Rodeo in Colorado.” The Meeker Range Call Celebration is full of events over the 4th of July weekend. Re-enactments of the Meeker Massacre and Bank Robbery, Ranch Rodeo, Pro Rodeo, 5K footrace, pancake breakfast, community barbecue, parade, fireworks, concert and more keep everyone busy for the 4th of July celebration.